Years ago I could never have imagined it, but here I am today, an almost vegetarian. I say ‘almost’ because I still eat fish occasionally. If I have guests it’s generally what I serve up, but mostly I live on vegetables, eggs, tofu, chickpeas, nuts, seeds, and all the other lovely foods that make up a vegetarian diet, and I love it. They’ve turned out to be my favourite things to eat, and I think they are delicious and scrumptious. About ten years ago I stopped eating red meat as a staple in my diet, and then later chicken. I didn’t set out to become almost vegetarian. At the time, it wasn’t a choice of conscience though it is something I’ve considered, especially as there are so many wonderful plant-based foods on the planet. The truth of it is I noticed that I felt a whole lot better when I didn’t eat meat or chicken, and after a while, a whole lot happier to let the animals be. When I was a child, for a time, my parents kept chooks. As our backyard was always full of animals, my young heart connected to every one of them, and as far as I was concerned they were all my pets. The chooks, of course, provided us with lots of lovely eggs, but when I discovered it was our chickens, which graced the table every Sunday, I was outraged and flatly refused to eat them. I can’t remember how long I held out, but I was resolute while I did. It wasn’t too long after that my mother started work and the chickens disappeared, and I forget all about them. And so, as many of us do, I grew up eating meat, and lots of it. But my digestive system just can’t handle it anymore, and so for me, almost vegetarian it is! Needless to say, Hubby and I eat completely different food, but it’s all good. We both thoroughly enjoy our individual tucker, and that of course, is the most important thing ~ to have a good relationship with your food. 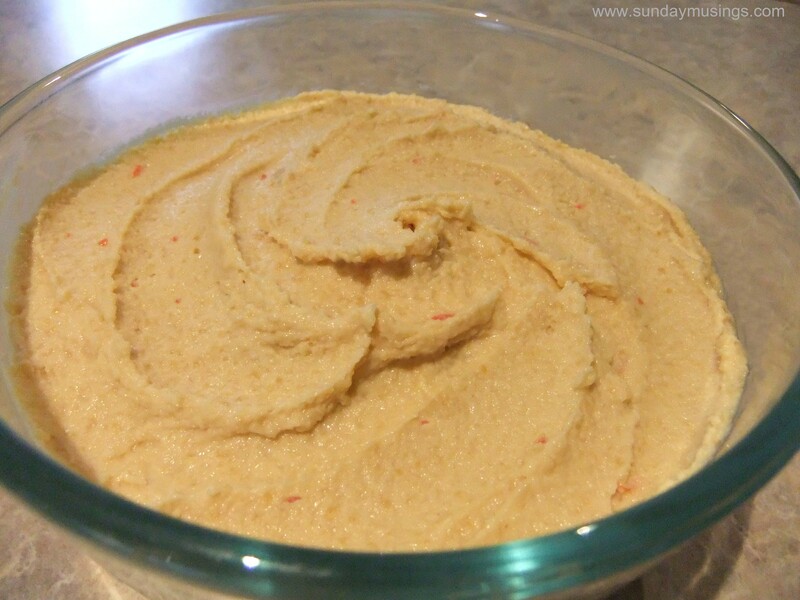 And so to the reason for this post ~ I’d like to share the joy of two of my favourite recipes ~ my sweet chilli hommus and my very lemony cashew balls. Both delicious! If you make them, I hope you enjoy them. 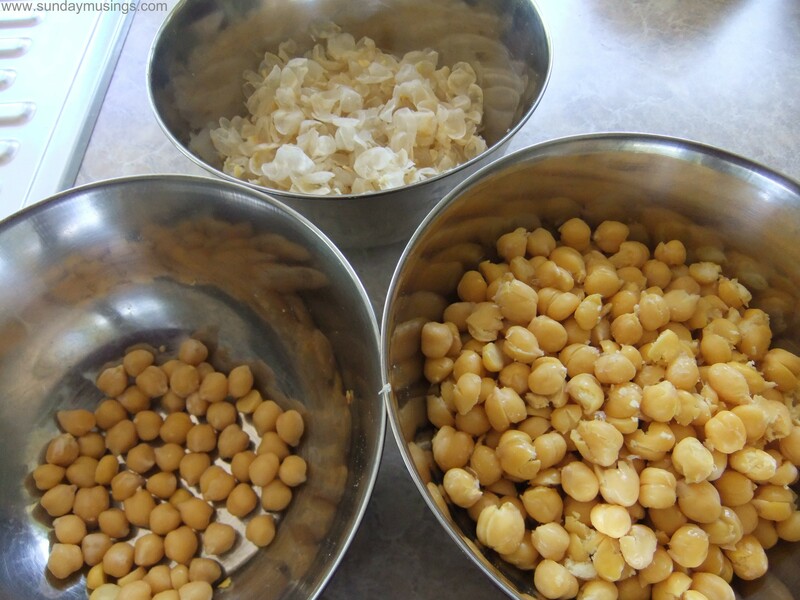 Skin the chickpeas by pinching them lightly between your thumb and index finger until they pop out of their thin shell. This takes quite a bit of time and can be tedious. It’s a job I do in front of the telly. I cook a whole bag of chickpeas, skin the lot and freeze what I don’t use for next time. 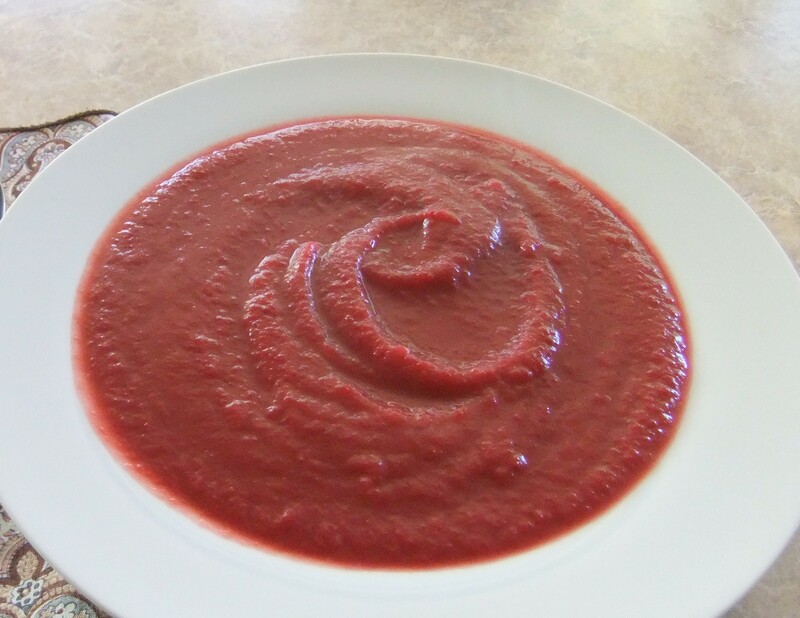 The next bit is easy ~ put all the ingredients into a blender and puree. I use a stick blender with the bowl attachment, and it works very well though you might get a smoother consistency in a high-speed blender. Season further if required, but I never need to. It’s always perfect for my taste. Blitz the cashews in a food processor until they are the texture of tiny rocks. Don’t over-blend or you will get cashew butter. Add the remainder ingredients and blitz until the mix just comes together. 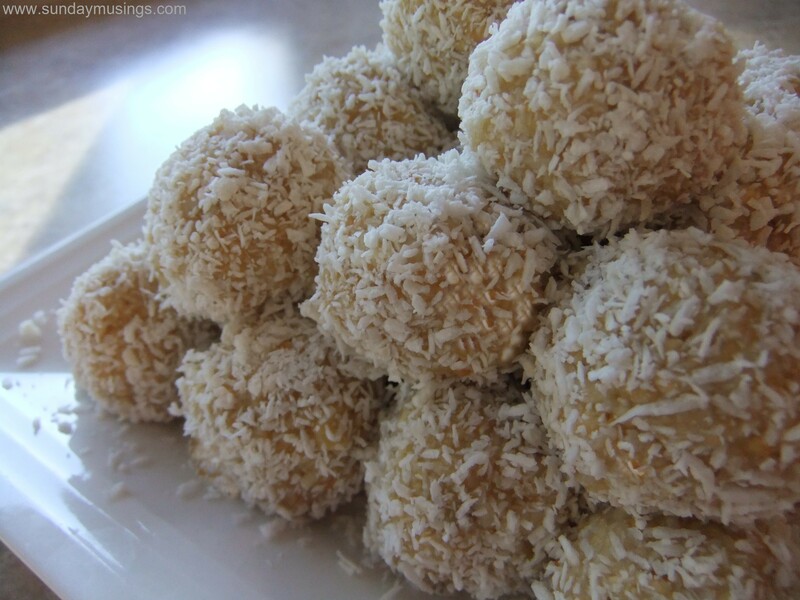 Roll into balls and coat in more desiccated coconut. Place the balls in the fridge to firm up for at least 2 hours. The bottom line is: enjoy your food and eat what makes you feel good. It’s spring here now and everything is all very beautiful and green outdoors. 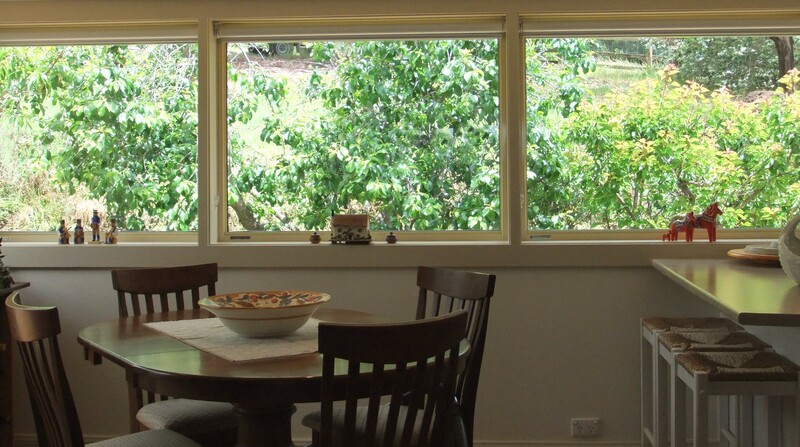 But while the fruit trees just outside my kitchen window are bursting with the beginnings of peaches, plums and apricots, here in the high country of New South Wales it’s still rather coolish and warming foods are very much, part of our daily tucker. So before it starts really hotting up I thought I would sneak in a quick winter recipes post. Two things are important in my kitchen ~ whatever I cook has to be easy and I don’t like cooking the same thing over and over. To that end, it was time to find some new recipes for Hubby. He loves soup, especially the blended kind, but cooking the same old, same old all winter long ~ even though he loves it ~ was starting to drive me to distraction. I mean, how many bowls of pumpkin or potato and leek soup can one have and still be in raptures over how delicious it is. Certainly not me! So it was time to add to the old favourites. 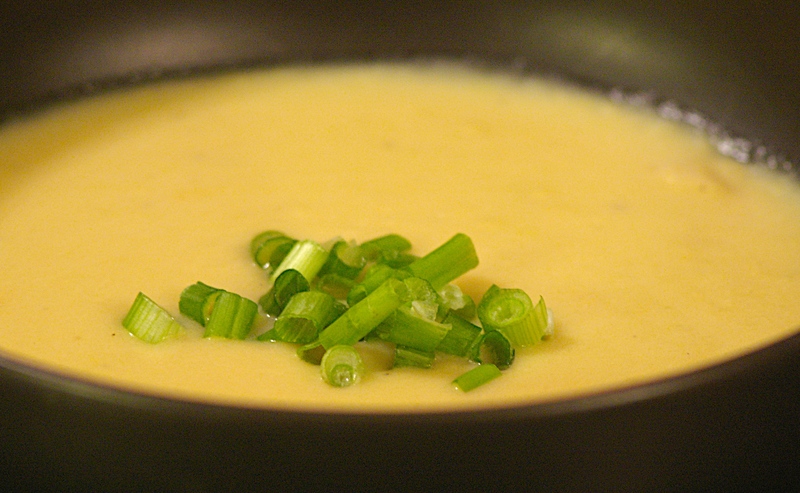 Even though I’m not overly keen on blended soups myself, I have to like whatever I cook. And they also have to be good enough to whip out of the freezer and serve up to guests at a moment’s notice if necessary. So, with all of that in mind I created these beauties, and they are all delicious. As with everything I cook, I start out with a recipe and then tailor it to my taste. 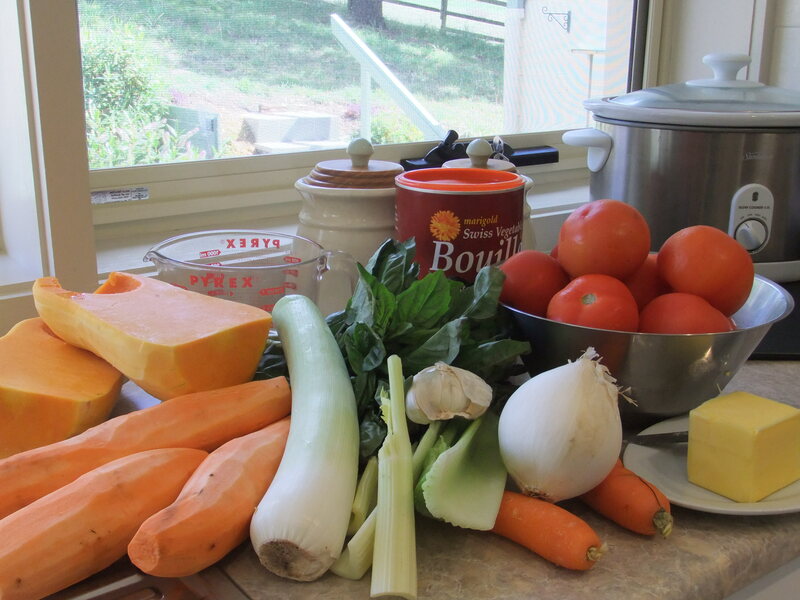 So here they are ~ my versions of four new winter soups. This is a delicious soup, and would go very well served with blinis and cream cheese. 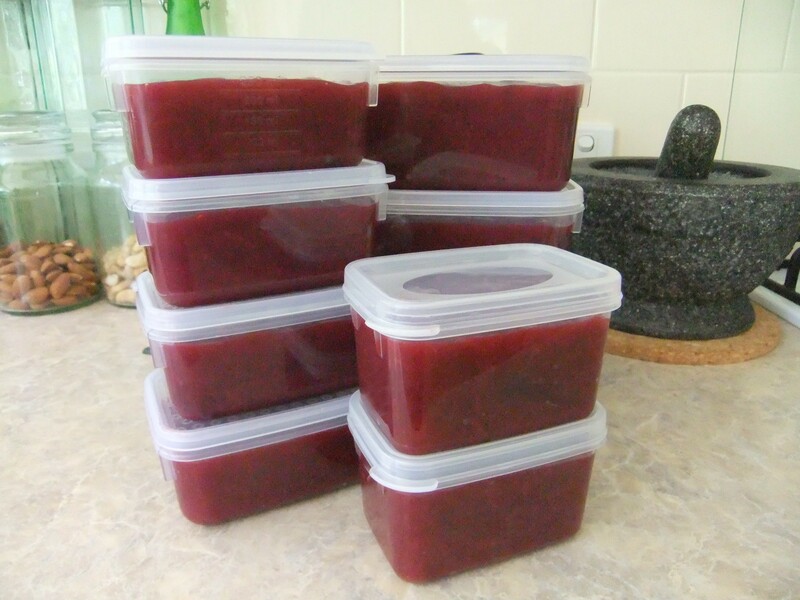 500g canned beetroot drained and chopped ~ I have used both baked beetroot and canned. I prefer the baked version, but hubby prefers the canned, which has more of a tart flavour. Heat butter in a saucepan over medium heat. Add chopped onion, carrot and potato, and cook till softened. Add bay leaf, stock and water. Bring to boil and cook till vegetables are tender. Add the chopped beetroot and simmer for a few minutes. Blend after removing the bay leaf, however, if you like a thicker soup, take out about 250mils of the liquid before blending. You can always add it back if you need it. Serve with cream and chives. This is a very up-market soup ~ a great dinner party starter with a bread roll and crisp white wine. Cook broccoli in a small amount of water until tender, set aside the liquid for later. You could use frozen broccoli, but I haven’t tried it as I prefer fresh vegetables. Next sauté the leeks in butter and add the milk. Break up the cheese, add it to the pot and heat through till it is fully melted. Don’t allow it to boil. Add vegetable seasoning to taste then, add the cooked broccoli and blend. If required, add back some of the cooking liquid. This soup is good country food. Very hearty and delicious, and goes well with pasties or sausage rolls. Preheat oven to 350F or 180C. In a large baking pan, toss cauliflower, potato, garlic and onion in olive oil and roast for 25-35 minutes. Place all baked ingredients into a large pot with the vegetable stock and simmer for 20 minutes until the vegetables are very tender. Blend, and add salt and pepper to taste. Serve with a swirl of cream and crusty bread. This one is just too easy and very delicious! Serve with crusty wholemeal bread rolls. 2 leeks or 2 brown onions halved and coarsely chopped ~ I prefer leeks. Melt half the butter in a saucepan over medium heat until foaming. Add the leek, garlic and thyme and cook, stirring until tender. Add the remaining butter and the mushrooms and cook, stirring for a further 5 minutes or until the mushrooms are soft. Add the stock and bring the mixture to boil. Reduce the heat to low and simmer covered for 20 minutes, then blend. Add cream and reheat on low. 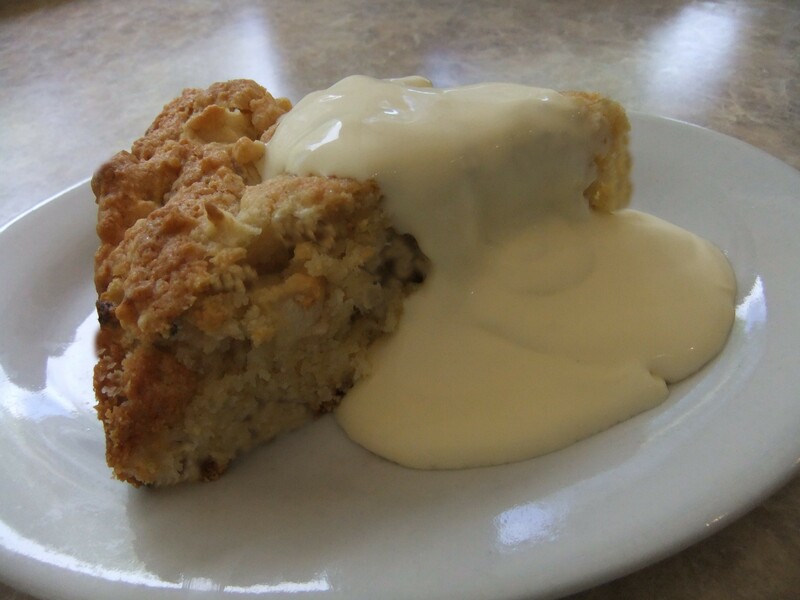 Serve with a swirl of cream and crusty bread. So enjoy folks! Hubby certainly wolfed them down with a great deal of gusto! 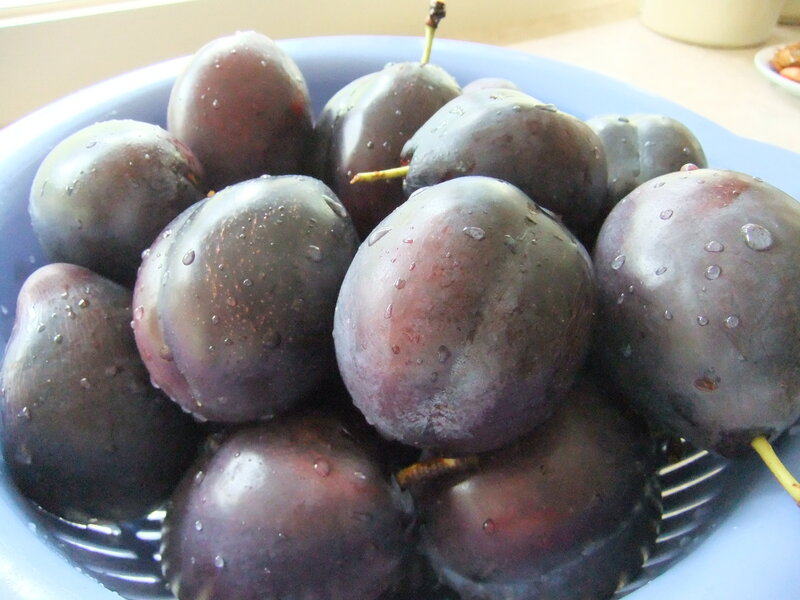 Who Needs a Thermomix ~ Making Plum Jam. 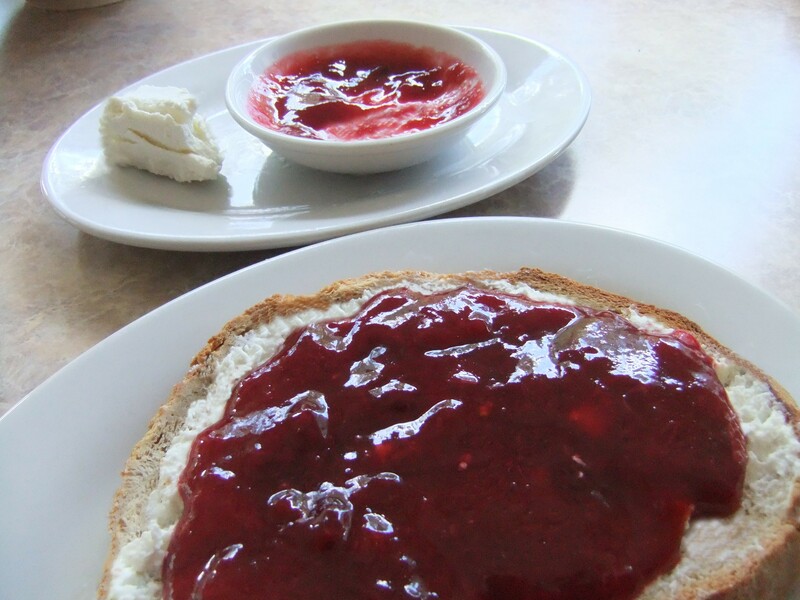 I received two jars of delicious Thermomix-made jam for Christmas. I know the Thermomix is a whiz-bang machine, and heaven knows it would have been a huge timesaver in my kitchen when I was working from dawn till midnight and didn’t have time to cook. I’m all too aware of how important it is to optimise time when one is busy, however, there is something very homely and purposeful about making jam the old fashioned way without any time constraints. 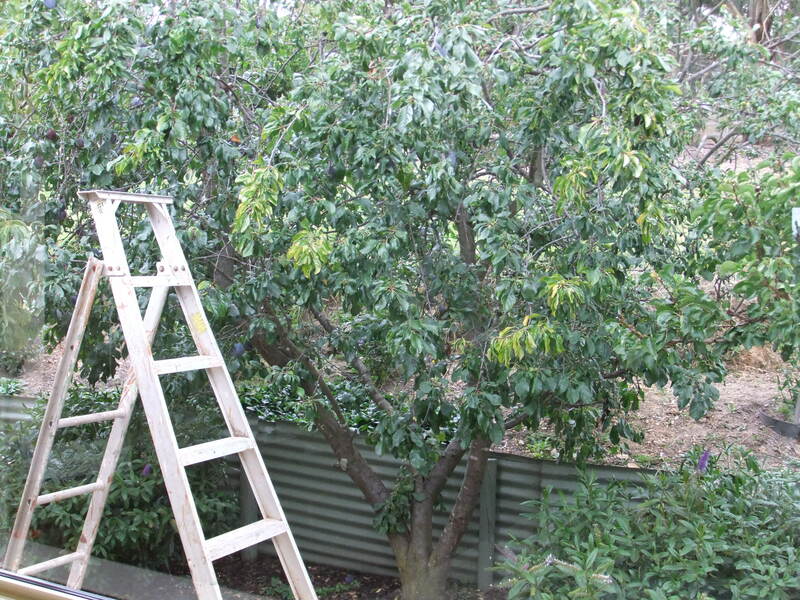 So, inspired by the two jars of jam, the plum-laden fruit tree just outside our kitchen window, and the knowledge that I can do anything a Thermomix can do, I decided to make jam! 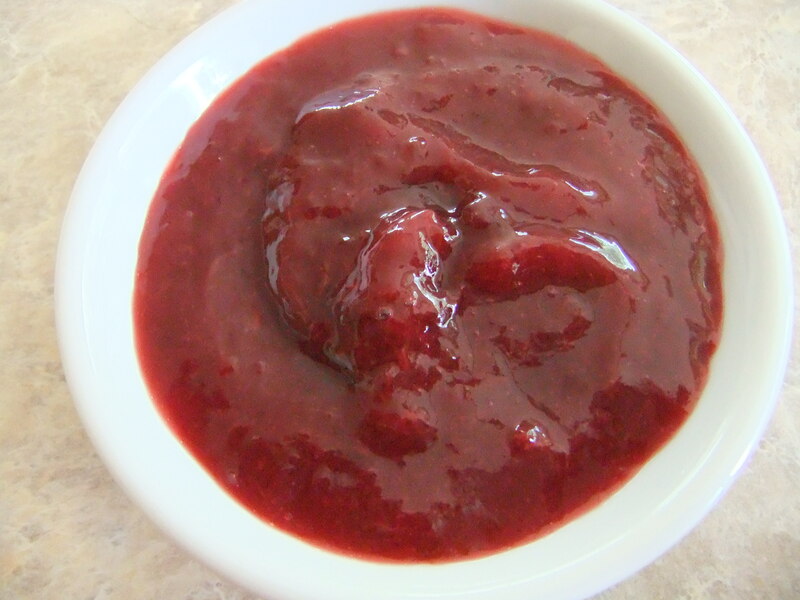 Having never made ‘proper’ jam before (not on purpose anyway ~ occasionally my sweet sauces do get a bit jammy! ), I did some leafing through old recipe books and online searches, and came up with this little gem of a recipe from NatashasKitchen.com, which I will call: Two-Day Plum Jam. And so with Hubby’s help, the picking, washing, cutting and weighing began. I must say, it’s a very companionable job filled with heaps of anticipation. Making jam from scratch is hugely satisfying, especially from your own fruit trees … the scrubbing and chopping of luscious ripe fruit, the measuring of ingredients, getting out the huge pot, and then stirring, salivating and tasting as it bubbles away changing from plump pieces of fruit to a concentrated mix of rich flavour and aroma. Now this does take two days to make, but as it only requires a total of 40 minutes cooking time over those two days, it’s very easy and worth it just for the joy of the experience. As I have discovered in life, taking the time to do something unhurriedly and with purpose has a lot going for it. Many years ago when my father was growing vegetables we stood together at his kitchen bench while he was cutting his home-grown beans. He took each bean, and with great purpose, slowly cut off the top and bottom. I watched him for about 30 seconds, and then impatiently grabbed a handful and chopped off the tops and bottoms. He looked up at me and slowly said, “Insi Insi, you in a rush!” And he was right, I was! But I get it now Dad. By cutting his beans one by one, he was savouring the moment and appreciating the satisfaction of having lovingly planted, nurtured and picked every one of those little beans. He was taking his time and enjoying it, and in my rush, all I was doing was cutting beans. He clearly knew there was much to be gained by slowing down, being fully present in the moment, and appreciating what he was doing. 4-6 cups of castor sugar, depending on the sweetness of the plums. In fact, you may even need more sugar. Plums are naturally on the tart side so keep adding until you are satisfied with the sweetness. 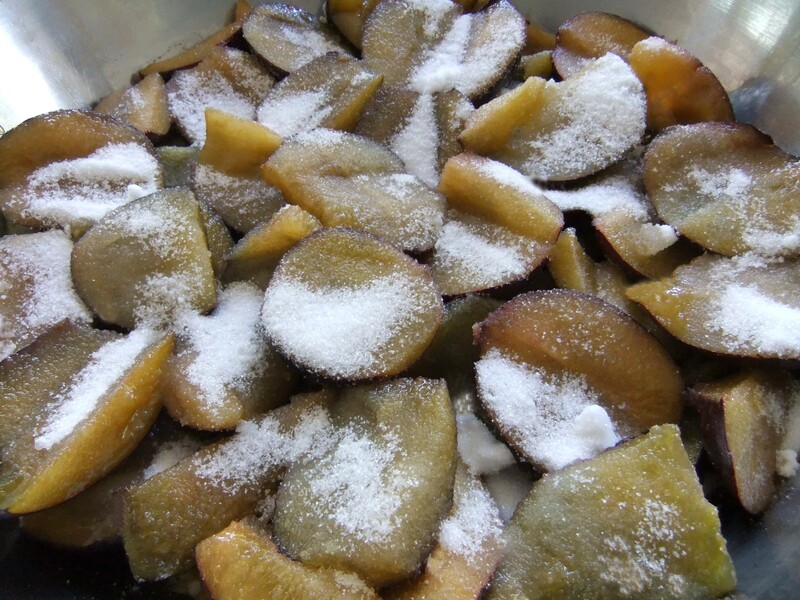 In a large bowl, place a layer of plums and sprinkle with sugar. Repeat the process with all the plums and sugar. Let them sit uncovered for about an hour so that the plums begin to create a sugary juice. Transfer the plums and the juice to a large cooking pot, and bring it to the boil uncovered, stirring occasionally until mixture is bubbling uniformly. Simmer for 10 minutes. Stir occasionally and scrape the bottom to ensure it doesn’t burn. Then turn off the heat. Allow the mixture to cool to room temperature. Now this is why it takes two days ~ you need to repeat Step 3 a minimum of four times ~ more if you want a thicker jam. Taste the mixture each time and add more sugar if required. On the final simmer, bring it to the boil on low to ensure it doesn’t burn and stir frequently. Now all you have to do is prepare the jars and fill with your delicious jam. Not being one to make preserves or do any bottling, I don’t sterilize jars ~ too much fiddling around, and I don’t have the right jars anyway, so I freeze it … shock horror I hear all the purists say, but it works for me! And so the moral of the story is who needs a Thermomix when you can spend two delightful days making jam! Experiencing the joy of nature’s bounty and filling your kitchen with the sweet fragrance of delicious anticipation. It’s all about stretching the pleasure. When you are in that moment, it really doesn’t get any better than that. So if you’re in a rush, stop occasionally and appreciate the moments. It’s worth it. With thanks for the original recipe from NatashasKitchen.com. 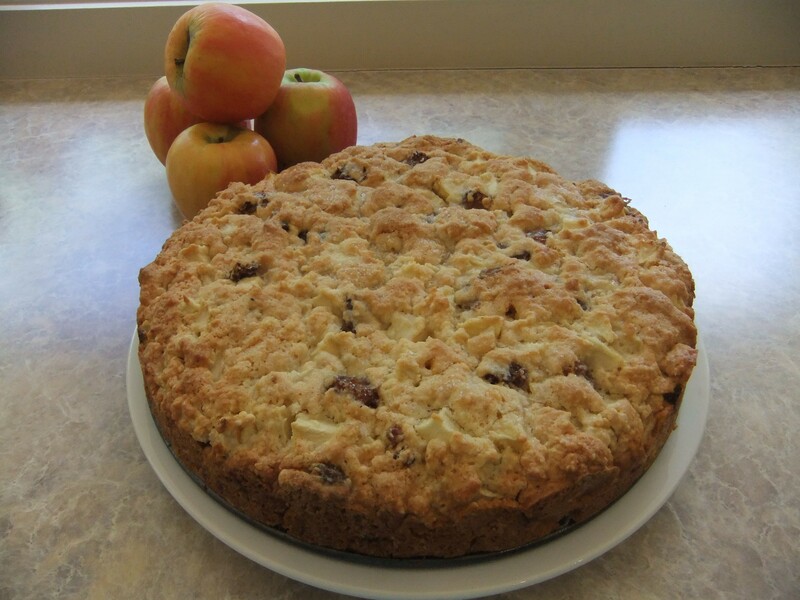 The birds are singing, the sun is shining and I’ve just made an Apple Crumble Cake for hubby. He’s had a bad week with a crook back and needed cheering up, so I decided a special sweet treat, over and above his daily fruit cake, was in order. I’ve never made this before, and as is generally the case when I cook, I altered the recipe. It is meant to be a slice, but as it turned out quite crumbly, albeit light and moist, I’ve decided to call it an Apple Crumble Cake. Afterthought: cinnamon, which I didn’t add! 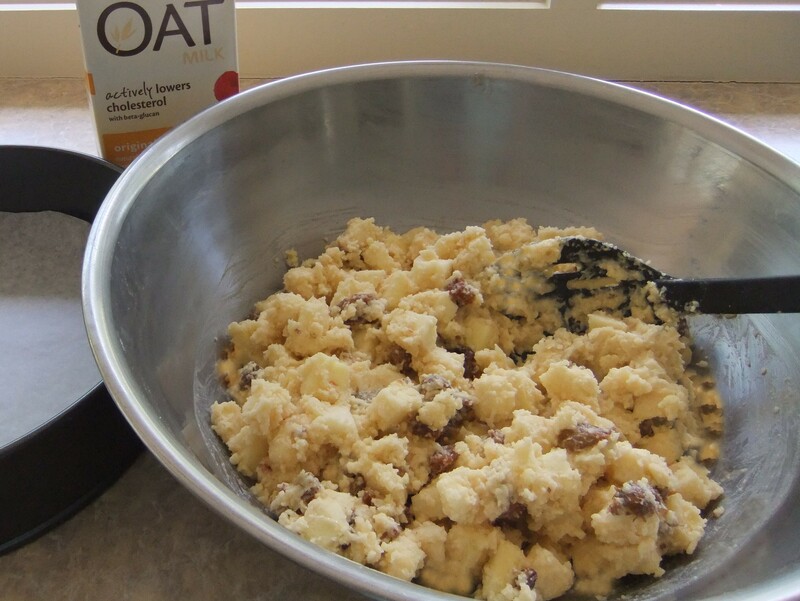 In a large bowl, mix the flour and sugar together. Add the melted butter, the apple juice, and the egg, and mix well. 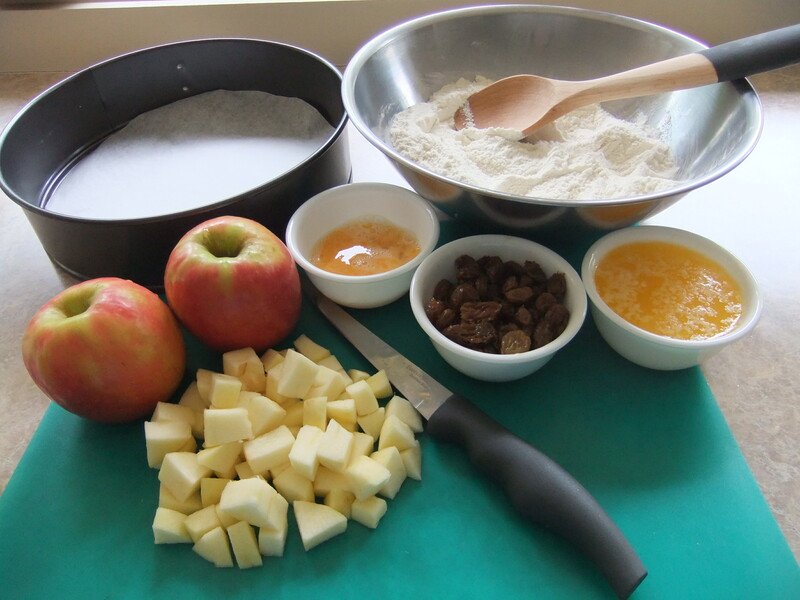 Add the diced apple and raisins, and mix until combined. Spoon into a greased and lined tin, press down, and sprinkle the top with a little sugar. Bake at 180C (170C fan forced) for 40 minutes until the top is golden brown and a skewer comes out clean. I covered it lightly with alfoil for the last 5 minutes as I didn’t want the top to burn. Serve it with whatever takes your fancy ~ cream, ice cream or custard. You’ve heard of Chicken Soup for the Soul, well last week I made Chicken Rissoles for the Soul. I’ve spent the last month with the worst mouth, throat and chest infection I’ve had in years. Consequently, I haven’t been able to eat much, and when I did manage to get a mouthful down it tasted awful. I completely lost my sense of taste. Most of what I put in my mouth tasted bitter. We all want comfort food when we’re not well, but because I couldn’t taste anything, there was very little that was giving me any pleasure. Food quickly became a very disagreeable and unpleasant experience. And as I’m a real foodie ~ I love the deliciousness of slowly, savouring every mouthful, I really missed it. Every few days I’d try something new to see if my taste buds were back. The only thing I was managing was scrambled eggs and pears. But as luck would have it when I bit into one of my chicken rissoles ~ generally I stick to vegetarian food, but I was willing to try anything ~ I could actually taste it! Halleluiah! They became my only spot of food joy, and thank goodness for that, as it improved my cheerfulness no end! So it seems my chicken rissoles did indeed turn out to be chicken rissoles for the soul. They gave me the comfort I needed for my weary body and turned grumpy old me into a much happier soul. I must admit this recipe was made up on the spot from what I had in the fridge. The quantities are also from memory as I threw in a bit of this and a bit of that, which is pretty much how I cook most of the time anyway! 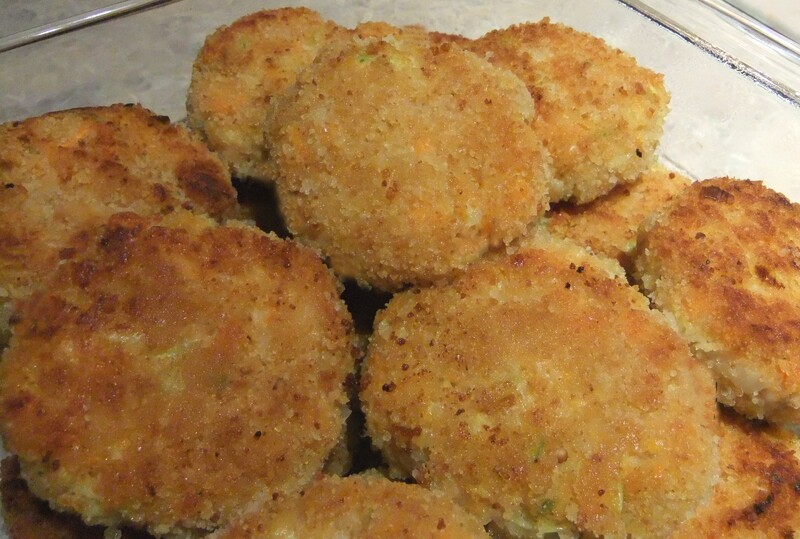 This recipe makes about 20 large very delicious rissoles and generally lasts hubby a whole week! If you make them, I hope you enjoy them! Mix the chicken mince, sweet potato, cauliflower, egg and seasoning together well, and enough breadcrumbs to firm up the mix. Sautee the leeks, zucchini and carrot till soft, and add to the mix. Taste for seasoning. Rissoles always need to be on the over-seasoned side when raw, so don’t think you are over doing it. Roll the mix into rissole-size balls, and then coat with the extra breadcrumbs. 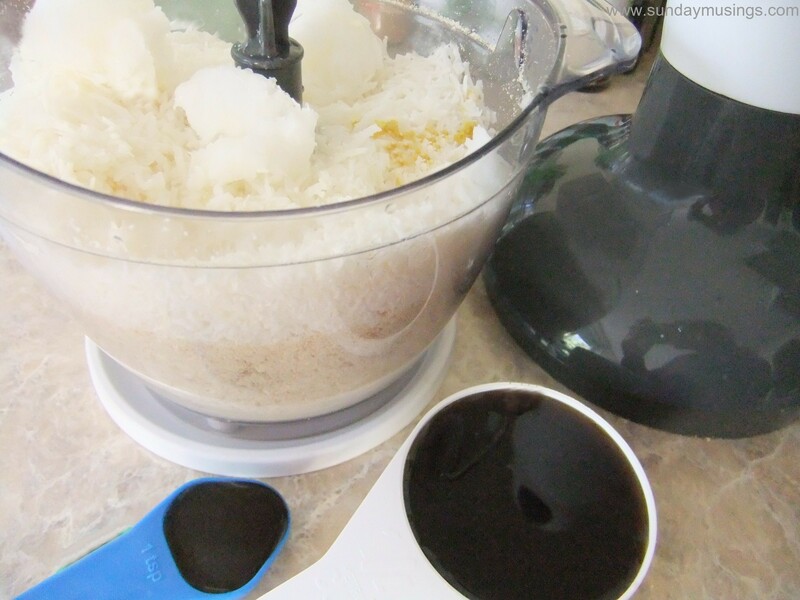 Melt the coconut oil in a large pan, slightly flatten the rissoles and brown them on both sides. Then turn down the heat, pop the lid on and cook for about 3 minutes until firm. Serve hot or cold. My hubby loves soup, especially when the weather is cold, so we have a lot of it in winter ~ almost every day in fact. 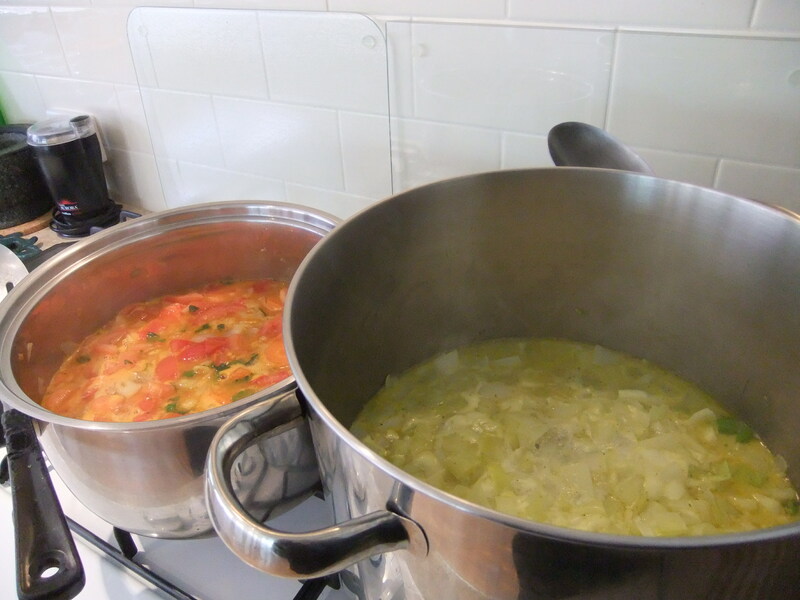 But as the cook, what I love most about soup is being able to make a huge pot which will last for most of the week. However, there’s nothing more boring than eating the same old soup every day. So with this in mind ~ variety is the spice of life, after all ~ about once a month I do a big winter cook-up of all of hubby’s favourites. I spend the day scrubbing, peeling and chopping a mountain of vegetables, which go into at least two big pots that bubble away on the stovetop simultaneously. 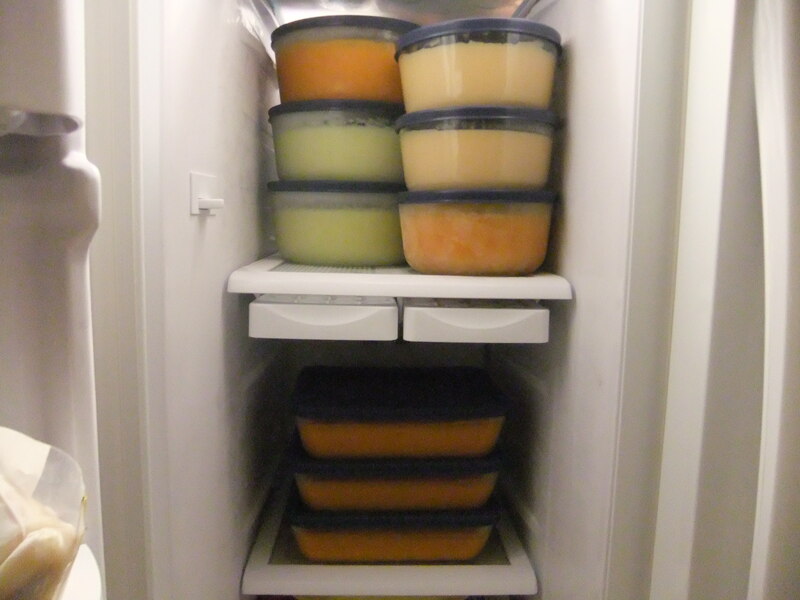 Then it all goes into the freezer and its thumbs up, because it’s done for another month! On a cold winter’s night when you’d rather be by the fire than in the kitchen, there is nothing better than putting your hand in the freezer and pulling out a home-made soup ~ it’s the ultimate healthy fast food. A chef would say that a good soup requires a homemade broth as a base, and having grown up with my mother’s soups, they would be right. She always made a meat, chicken or fish broth first, and then used that to make the soup. 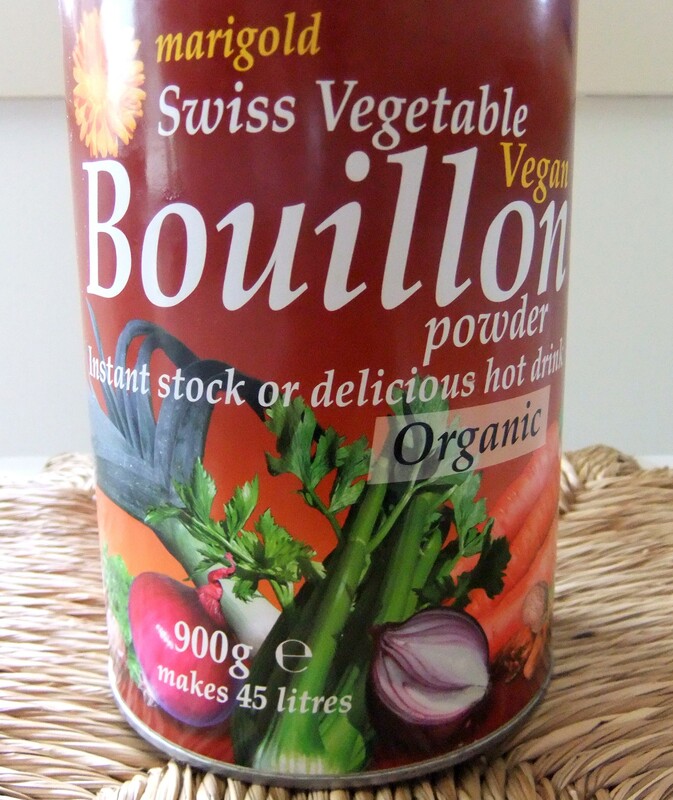 In the days when I made bouillabaisse regularly for dinner parties, my fish broth was to die for, however, these days as most of my soups are vegetable-based they are all very basic and simple. Hubby loves the blended variety, and his favourites are Tomato, Potato & Leek, Pumpkin & Sweet Potato, Pea & Ham, and Carrot. I’ve been making them for a very long time, originally from an old soup recipe book, but as all recipes go, my versions have changed a bit over the years depending on the ingredients I have at hand. That’s how basic they are ~ you will most likely already have all the ingredients in your fridge! Also, they are all fairly thick soups, and you can make them go further with the addition of cream or milk. So here they are as per my old recipe book. No doubt you will add your special touch, but as you will see they are all very, very easy. A note regarding stock ~ I make up my own using my favourite stock-based seasoning, and I must say its top notch. 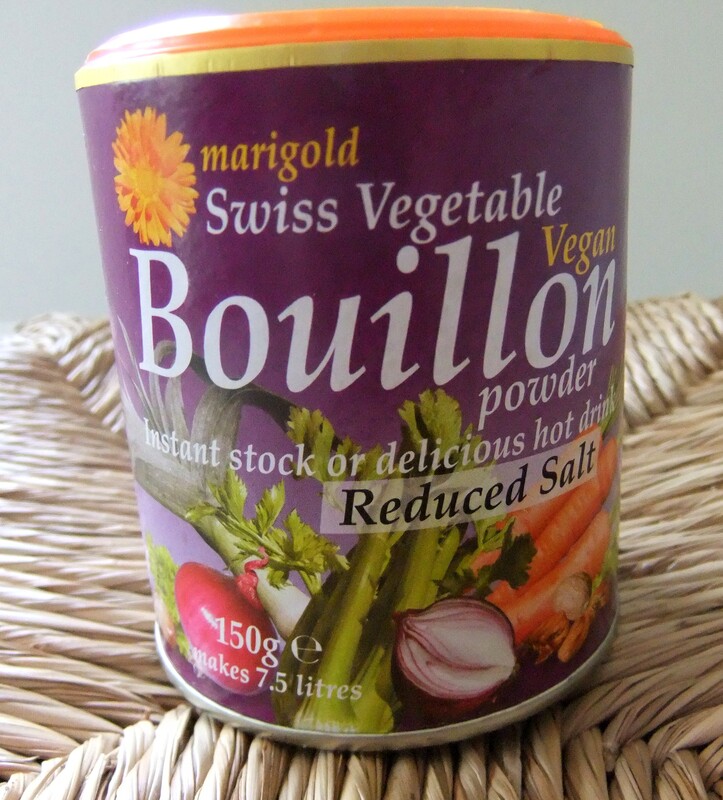 For my taste buds, it adds exactly the right flavour, and I can add as much or as little as I like, so wherever the recipe says stock, this is what I am referring to: Marigold Swiss Vegetable Bouillon Powder. This takes the longest to cook, but it’s very easy as it’s done in the slow cooker. Place split peas on the bottom of the slow cooker. Add the vegetables and place the ham hock on top. Cover with the water and cook on high for 5 hours or until the meat is falling off the bone. When cooked, remove the ham, break the meat apart and keep it separate. Blend all the liquid till smooth. If you feel it needs extra seasoning then add it, however, I find it’s always just right. 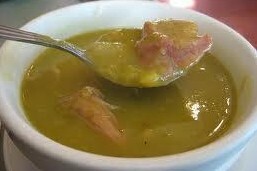 Serve soup with pieces of the meat and a dollop of cream if desired. 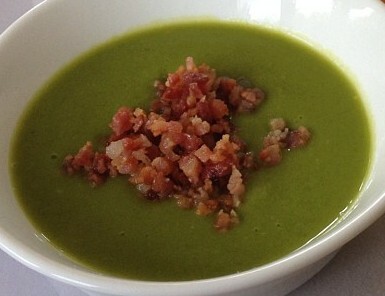 Here’s an idea for a quick pea soup. 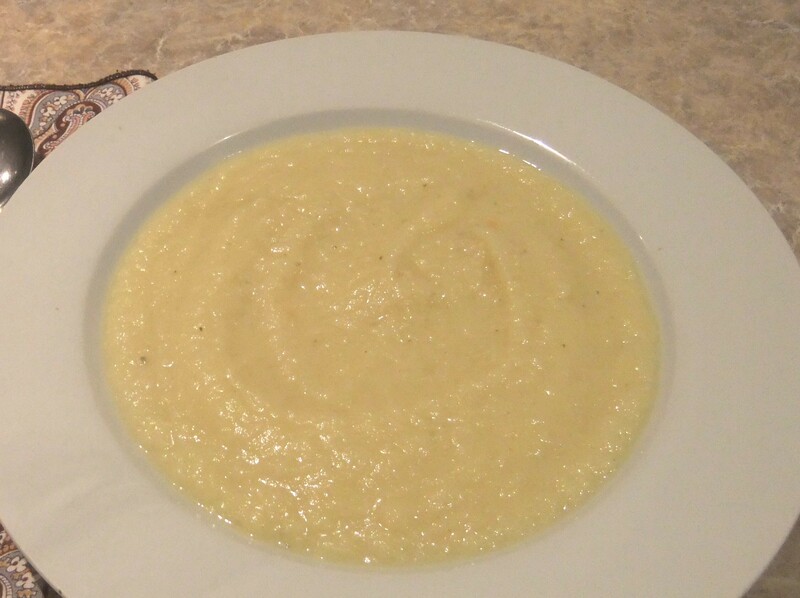 Everyone usually has a packet of frozen peas in their freezer, and at a pinch, this makes a decent soup when there’s nothing else in the cupboard. Just add vegetable stock or water and a stock-based seasoning powder, cook till tender and blend. It works, and I’ve even served it to guests! I really enjoy making this soup. I love tasting it as the flavour develops during the cooking process. So delicious! In a large saucepan, heat the butter and saute onions and carrots until the onion is transparent. Add tomatoes and cook over medium heat for 4-5 minutes. Add stock and herbs, and simmer for 40 minutes. When cooked, blend till smooth and add salt and pepper to taste. Serve with a dollop of sour cream or yoghurt and chopped chives. This is also delicious. It’s very hearty and goes well with grated cheese or bacon bits. Saute leeks and onions in butter until tender. Add potatoes, parsley and stock, and simmer for half an hour until potatoes are tender. 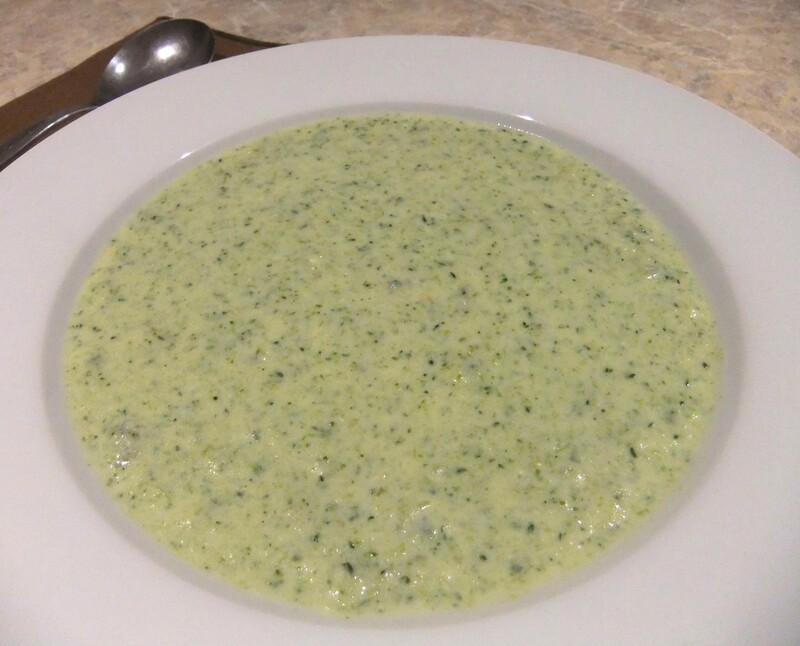 Blend till smooth and serve with a dollop of cream if desired, or your choice of grated cheese, bacon bits, or chopped chives. 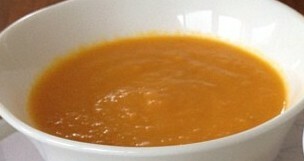 This is my version of Pumpkin Soup. It’s extremely simple. 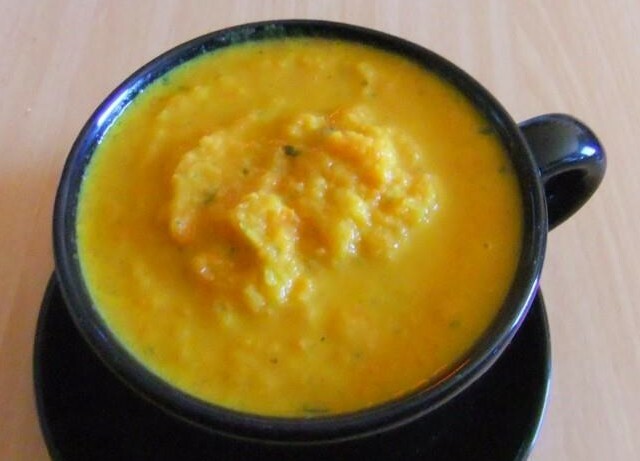 The combination of butternut pumpkin and sweet potato is something I stumbled upon when I wanted to stretch the soup one day, and as it tasted so good ~ it makes the soup sweeter ~ it’s now how I always make it. You can do this either of two ways. 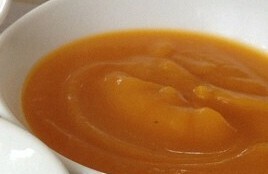 Bake the pumpkin and sweet potato, which brings out the flavour, and then blend with warm stock until smooth, or simmer the pumpkin and sweet potato in stock until tender and then blend. Add salt to taste if required, though I find using the stock seasoning is sufficient. Serve with a dollop of cream if desired. 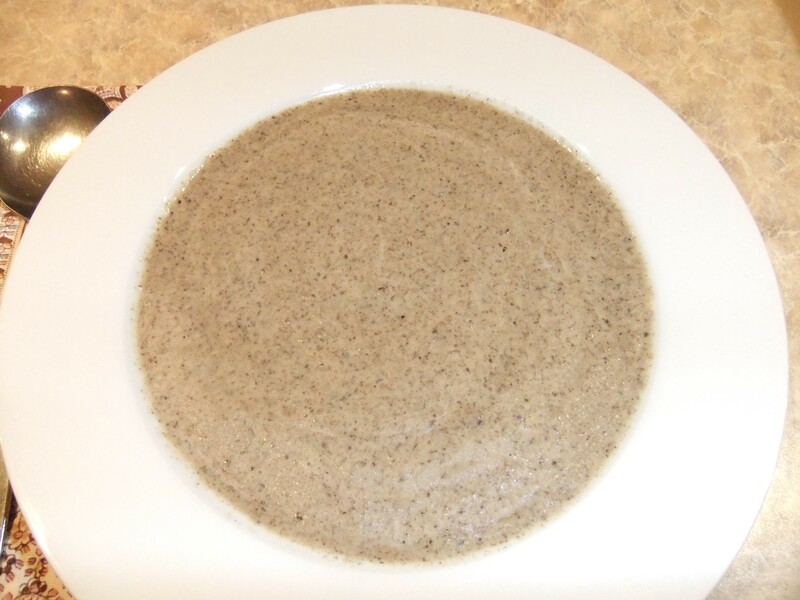 This is my favourite of the blended soups. It’s a recipe given to me by a friend 30 years ago, and I have been making it ever since. I rarely have the parsley and mint to hand, but it tastes just as good without them. Melt the butter. Then add the carrots, garlic, potatoes, onion, celery and shallots. Stir to coat the vegetables, then cover and cook gently for 5 minutes stirring occasionally. Do not let the vegetables brown. 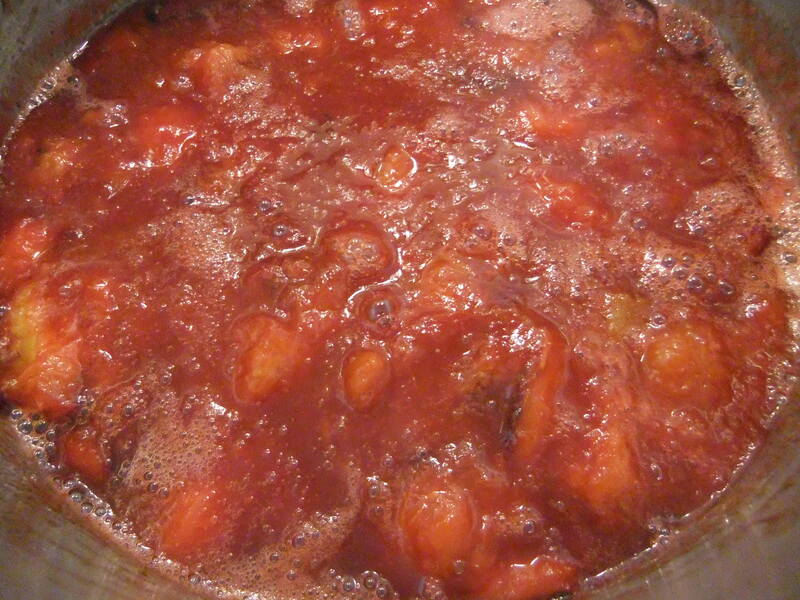 Add water and sugar, and simmer gently for about 10 minutes until vegetables are tender. Stir in the chopped parsley and mint. Blend till smooth, season to taste and if desired add the cream to the whole soup, or serve with a dollop of cream in each bowl. So there you have it! I think everyone would agree that soup is the ultimate comfort food. Served with grated cheese, warm bread rolls, or even a rissole or a sausage or two, you can’t go wrong putting it on the table on a cold winter’s night! Without a doubt, it is a crowd pleaser, whether it is a crowd of two or twenty. But the best reason to make soup in our house is because I always hear hubby say, ‘Lovely soup!’ on the very first mouthful.